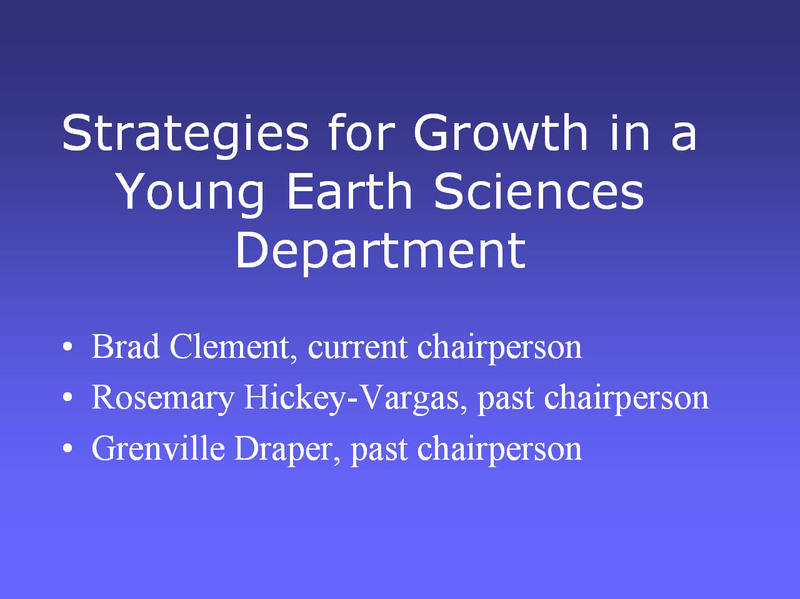 Written by Carol Ormand, based on ideas compiled from the 2005 workshop on Developing Pathways to Strong Departments of the Future and the 2007 workshop on Strategies for Successful Recruitment of Geoscience Majors. Very few students come to college planning to major or minor in geoscience, so introductory courses are primary vehicles for recruitment. Make the most of that opportunity by implementing the strategies described below. Students in Carol Ormand's Geology of the National Parks class decide how to calculate the average rate of erosion of the Grand Canyon. Photo by Carol Ormand. 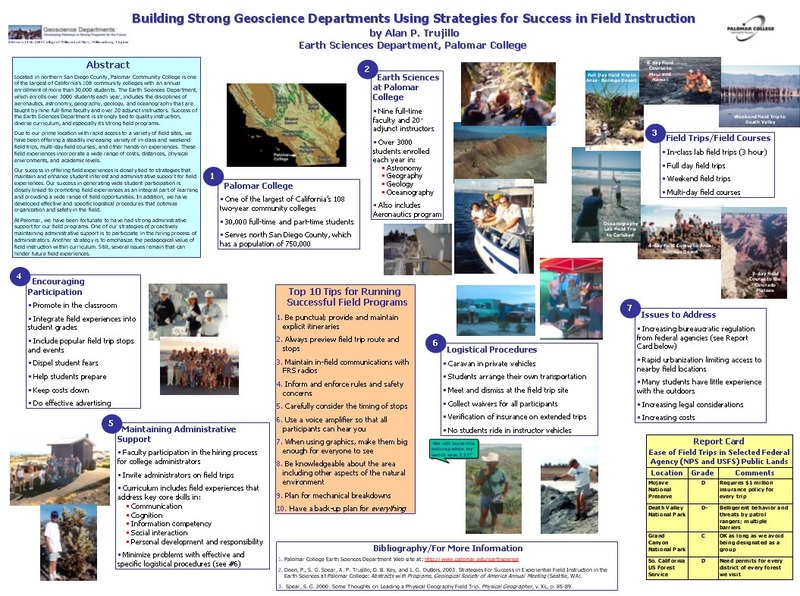 Al Trujillo describes his department's emphasis on field work in this essay and this poster, (Acrobat (PDF) 475kB Feb22 05) both developed for the 2005 workshop on Developing Pathways to Strong Departments for the Future. Among the many methods you can use to inform your students about career opportunities is to make information about geoscience careers an integral part of your course content. For example, each time you introduce a new course topic, you can spend a few minutes describing career opportunities in this subdiscipline. Similarly, each time you introduce a new course topic, you can describe a person who specializes in that subdiscipline. include information on geoscience employment and links to several collections of profiles of geoscientists. What better way to capture students' imaginations than by making explicit the relevance of geoscience to these grand challenges? 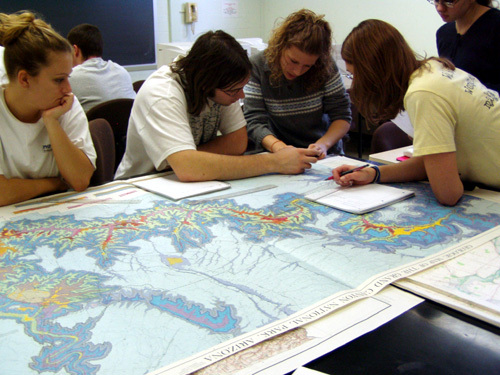 Let's face the facts: most of the students in your introductory classes aren't planning to major in geoscience. If you want to persuade them to change their minds, you'll want to have your best teachers teach the introductory classes. The essential concepts and skills for a geoscience major can be taught within the context of topical courses. Examples abound. 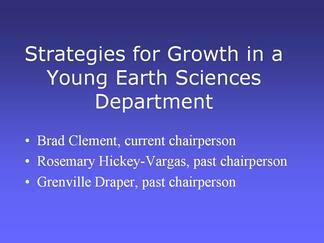 All introductory courses in the Hamilton College Department of Geosciences are topical courses. Read more about them in this essay by Barb Tewksbury. 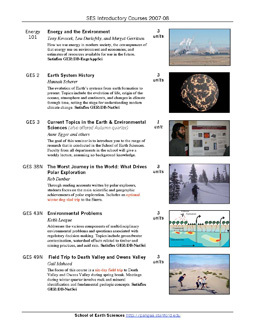 Stanford University offers a wide variety of introductory geoscience courses. Download the 2007-2008 flyer (Acrobat (PDF) 572kB Feb27 08) (page three pictured at right). Familiarize yourself with your institution's graduation requirements. Are there introductory courses you could offer that would satisfy those requirements?